Walden, CO - Caboose UP 25408 - The Laramie-Walden Line had two cabooses, both owned by the General Manager Chuck Weart. Caboose UP 25408 might have come directly from UP. [Rock Island Reporter] Link to Photo Without Frame Thank You for Making this Daily Photo Tied for the # 1 Pick on 01-26-2018. Neat image of a piece of history. Looks like end of the line for that one! 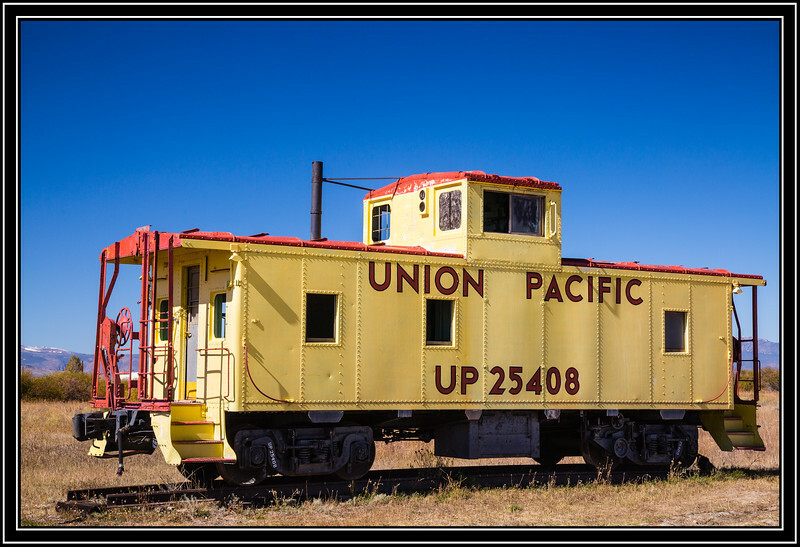 Call find and unusual color for a caboose! Great shot of the old caboose! Gotta love those cabooses - I wish trains still had them.